There are numerous state-of-the-art hearing instruments available with different styles, features, and cosmetic solutions that can greatly enhance your daily life without hindering your individual lifestyle. But all hearing instruments have certain characteristics in common. They are made to selectively increase the volume of the sounds you want to hear. They can make soft sounds audible, while at the same time making moderate or loud sounds comfortable, thus providing relief in both noisy and quiet situations. No hearing instrument can solve every hearing problem or restore normal hearing, but they are designed to provide amplification so that you can hear and understand better. Battery door – holds the battery, that powers the hearing aid. Vent – for optimum ear ventilation. Removal cord (for the smaller models). Signia ITE hearing aids feature the newest hearing techologies. They deliver great sound quality and unparalleled performance tailored made for demanding wearers. There are several different styles of hearing instruments, not to mention the multiple design and color options. Each hearing instrument is designed and fitted to each person’s hearing needs. 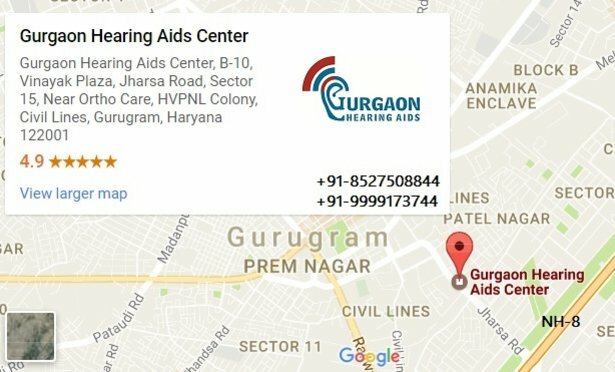 The place where hearing instruments are worn is the simplest way of categorizing the different types. Basically, hearing instruments are worn in the ear, or behind the ear. ITE is the abbreviation for a hearing instrument style worn “In-the-ear.” ITEs are often called “custom” hearing instruments because they need to be custom-made to fit each individual ear. BTE is the abbreviation for the “behind-the-ear” hearing aid style. Custom (ITE) hearing instruments are used for mild to severe hearing loss. Custom instruments sit entirely within the ear and are fitted individually based on an impression of the wearer’s ear. The picture below illustrates the range of styles from the so-called Micro-CIC instrument, which fits completely in the ear canal to the full-shell hearing instrument, which completely fills the bowl of the ear. BTEs are used for all types of hearing loss from mild to profound. They come in a variety of styles from Miniature-BTEs to the larger SuperPower instruments. Many offer multiple directional microphone systems for improved understanding of speech in noisy situations. Behind-the-ear systems can be open or closed. Closed means that the fitted earmold almost completely fills the outer ear and ear canal. They are versatile and suitable for a variety of hearing losses. Conventional BTEs offer more power and can be more inconspicuous. They may offer easier handling because they are larger. 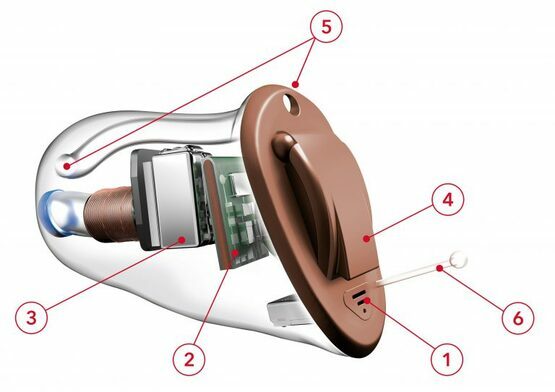 The earmold connects a BTE instrument to the ear and is individually shaped for each wearer. It is important because it fulfills multiple functions for acoustics and better hearing. One of the most important tasks of the earmold is to conduct the amplified sound to the eardrum. It also improves the positioning and hold of the hearing instrument behind the ear. An important aspect of the earmold is to seal the auditory canal. This acts as a block and prevents acoustic feedback; the annoying high pitched whistling often associated with hearing instruments. Open fittings use a thin tube in place of an earmold to connect the BTE instrument to the ear. Open fittings are more comfortable and avoid the collection of moisture in the ear. They are only suitable for certain hearing losses, but the advantages include sound quality and comfort. RIC open fittings look quite similar to the open fittings discussed above. But contrary to most conventional Behind-The-Ear instruments, the receiver is placed within the canal and connected to the BTE unit via a thin tube. Since the receiver is no longer within the behind-the-ear (BTE) unit, the BTE unit is particularly small, light, and inconspicuous. 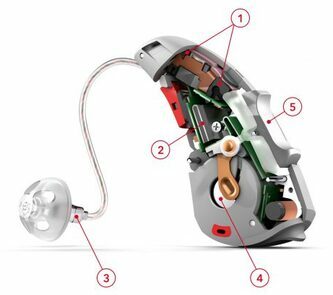 What makes Siemens hearing aids smart? Directional microphones: A directional microphone focuses on sounds that originate in front of you, reducing noises from other directions, helping you to focus on your conversation partner. Feedback management: Feedback management describes the process of suppressing feedback whistling within milliseconds. The latest feedback cancellation system is now more effective than ever. So you can forget about that irritating whistling sound once and for all. Telecoil: The Telecoil, also called T-coil, automatically detects the magnetic signals from devices like landline phones and inductive transmission systems, e.g. in theaters and cinemas, and transmits them directly to your hearing instrument. Multi-channel adaptive microphone: The multi-channel adaptive microphone can follow and fade out multiple moving sources of background noise – making sure you’re well-equipped for meetings or gatherings. Remote control option: Discreetly switch settings or programs and adjust the volume by using a remote control. The ePen won the renowned “iF“ and “reddot“ design awards. SpeechFocus: With SpeechFocus, you can hear speech well in the presence of background noise, even when it comes from behind you or from the side. This is ideal when you’re driving or cannot look at the person you are speaking to. Automatic adaptive microphones: In noisy situations, the microphone switches to focus on speech in front of you, reducing the intensity of noise around you. Adaptive microphones can follow and reduce sources of noise as they move – for example, if a truck drives by the window during a conversation or conference – making it much easier to listen in noise. Speech and noise management: Speech and noise management supports the directional microphone system and reduces the effort of speech understanding in noisy situations. Furthermore, it also makes listening in noisy situations more comfortable by dampening the general noise level. SoundSmoothing: SoundSmoothing reduces sudden jarring noises like the sounds of clinking dishes, crinkling newspapers or heels on hard flooring. Directional speech enhancement: Directional speech enhancement takes speech and noise management one step further and offers additional sound attenuation, filtering out ambient noise even more effectively. Frequency compression: If your hearing loss is of a certain configuration, frequency compression compresses and shifts high-pitched sounds that you would otherwise be unable to hear to a lower range where residual hearing is better. This means you can still take part in the conversation, even in noisy locations like busy cafes. Learning options: With this feature, a hearing instrument can “learn” how you like to hear in different situations within just a few short weeks. The result is an intuitive hearing instrument that automatically adjusts itself to suit your listening preferences, eliminating the need for you to manually change the volume after the learning period. Siemens offers learning with various levels of sophistication depending on the hearing instrument you choose. Bluetooth compatibility: Bluetooth connections make an impromptu cell phone call simple and easy to hear. Your hearing instrument can be wirelessly connected to your cell phone or other external audio and entertainment devices, receiving true stereo signals directly into both hearing instruments (accessories: Tek/miniTek). TruEar: The TruEar feature simulates the function of the outer ear, helping you to localize sound sources from the front and back. This can improve your understanding in bustling environments and it refines your orientation, keeping you safe as you navigate busy streets with lots of traffic. e2e wireless 2.0: e2e wireless 2.0 synchronizes left and right hearing instruments, enabling better directional hearing. This is ideal for better orientation, for example, when you cross the street while jogging. Water-/Dustproof: If you’re looking for a hearing instrument that can take a beating, Aquaris is the waterproof, sweat- and dust-resistant solution. It is the first truly waterproof hearing instrument from Siemens with a fully protected housing and is waterproof to a depth of one meter. eWindScreen: eWindScreen helps you to hear better when you’re outdoors by detecting and selectively reducing wind noise – increasing comfort and making listening comprehension a breeze. 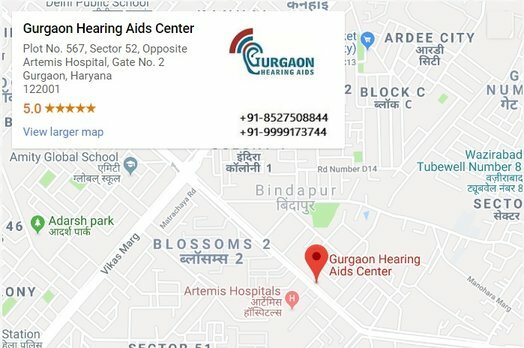 Tinnitus noiser: If you are suffering from tinnitus, the optional tinnitus noiser function can help you relax and read with full concentration by reducing the effects of tinnitus. SoundBrilliance: SoundBrilliance provides crystal clear sound at high frequencies so that you can enjoy every note of your favorite song. Rechargeability: Siemens Pure and Motion hearing instruments are rechargeable, so there is no need to constantly change batteries. The eCharger accessory is easy to use and sustainable. Extended bandwidth: When your hearing loss is mild or moderate, the extra bandwidth offered by the latest BestSound Technology allows you to hear ultra-high frequencies better. So when your favorite opera diva gives her best, you will be able to appreciate the performance.